Plenty of new listings hit the market this week in Boulder. The spring real estate season has arrived! So... what's worth seeing? As a strategy, we recommend fresh listings be treated as a priority. The best houses and locations go very quickly, but few properties are worth your time. We've sifted through and removed the stale or refreshed listings, bad locations, and the egregiously overpriced. 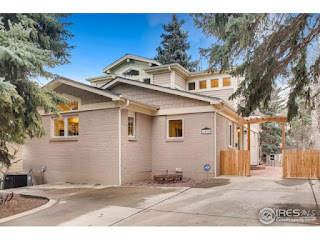 The following are the best homes to hit the Boulder real estate market. As usual, to help educate you on market conditions, we've also included a discussion on notable sales. 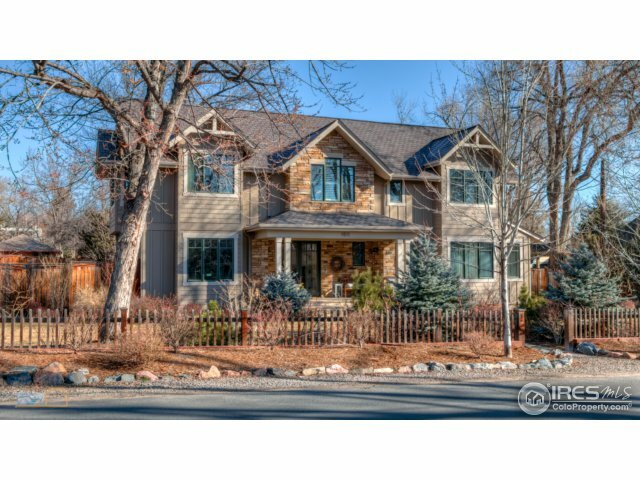 A beautiful Mediterranean style home at the foot of Flagstaff mountain with six bedrooms, six baths, and a nearly 7,000 SQFT - plus a rare three car garage. The location is exceptional but the style of home isn't everyone's cuppa. If it's what you love, there aren't many options of this style in Boulder. Here's how the deal went down. The seller tested the market last April at $3.9MM. A month later, they cut the price to $3.58MM and stood firm through the summer and fall. In January, they dropped a third time to $3.45, below the important $3.5 psychological threshold (deeper pool of buyers). It sold for 5.5% below last asking last week, 16.4% below the original list. Take home lesson: It's OK to test the market, especially when comparable sales are few and far between. It was also smart to adjust quickly. If the first cut dropped the asking price to below $3.5, it probably would have sold last summer. Note: The house had real stucco, as opposed to problematic EIFS. I took my buyers to see this when it first hit the market a year ago. We couldn't get past the choppy floor plan and dated finishes. The property clearly needed remodeling. After two price cuts and four months on market, the seller got the message. They pulled the listing and spruced it up with $70K worth of remodeling over the fall. The bidding war was fast and furious when it came back to market this spring. 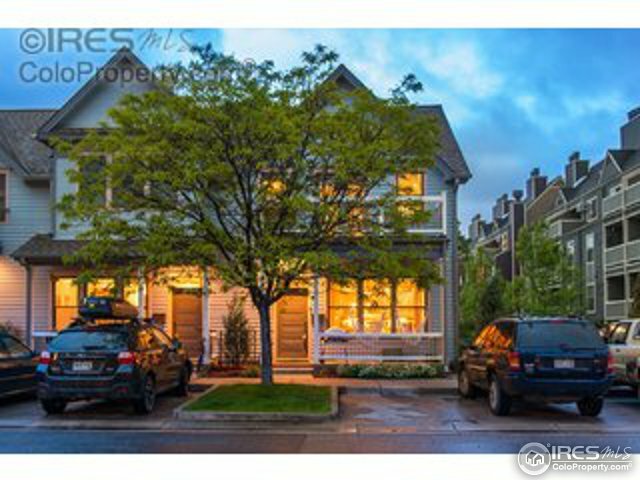 Asking price was set at $1.35MM and it sold for $1.54MM, or +14%. Take home lesson 1: Listen to your Realtor and feedback from buyer's agents. While few want to invest in an asset they're planning to sell, sometimes it's worth it. 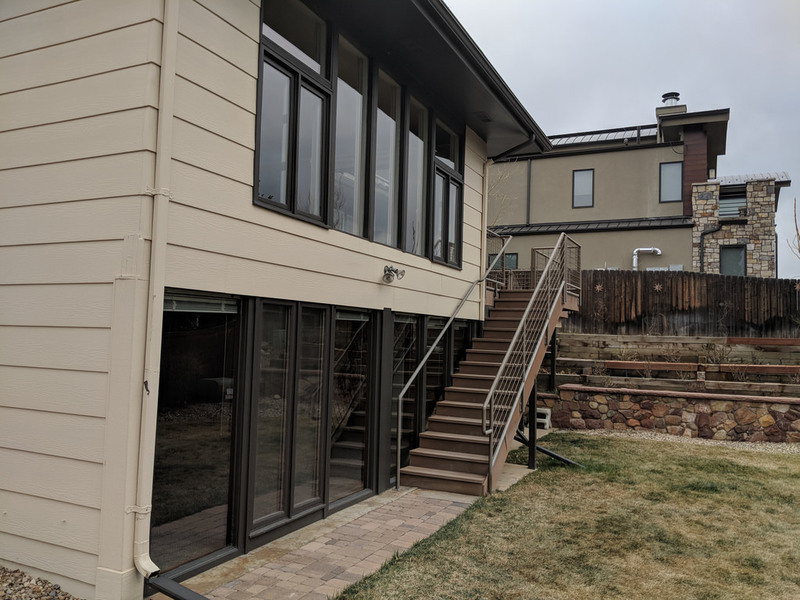 Take home lesson 2: Construction costs are extremely high in Boulder and it can take many months before a quality designer and contractor are available. This is why turn-key real estate sells at a premium and it sells very quickly. 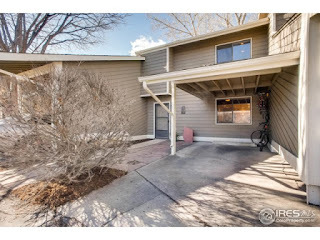 Our third sale in Glenwood. 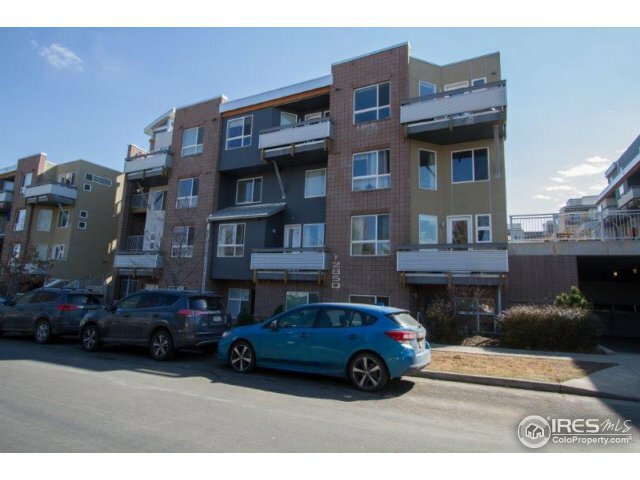 This development is popular is because it is in a central location and well insulated from the traffic noise from 28th and 30th streets. 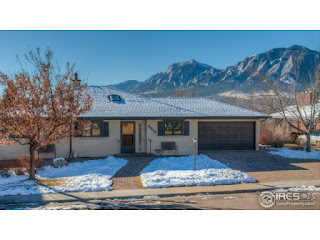 In a few minutes, you can be almost anywhere in Boulder. The two bedroom, three bath layouts are functional and attractive to a variety of buyers. Our seller did a few upgrades and we did our usual obsessive analysis over valuation before listing it with professional photography. It sold for 3.8% over asking. Deal note: We had a bidding war on this property and the top two offers came in at exactly the same price, with similar terms. I contacted both agents and gave them a chance to improve their offers. One stood firm. The other discussed it with their client and came back with a slightly better offer. They also included a personal letter which strongly resonated with the sellers. Guess which agent got the deal? Take home lesson: If you get a call back from the listing agent asking you whether you'd like to improve your offer, take it seriously. It's not always about the price, there are other ways to strengthen offers. Remember, there is a reason they're calling. One thing we've learned by working with high-end buyers and sellers is that at price points above $3MM, the market becomes very selective. A large portion of buyers are willing to either wait for the right property or build one to suit their taste. This large 6,000+ SQFT home has the right stuff. It sits on a half acre lot, four bedrooms on the upper, one in the basement, plus a three car garage. Built in 2005 and priced at $784/SQFT. If clean, traditional design and finishes are your style, this one is worth a look. Due diligence: Have your Realtor analyze the comps and compare to new build/modern. Sophie and I spent a lot of time in Spring Valley last year due to our listing last spring. 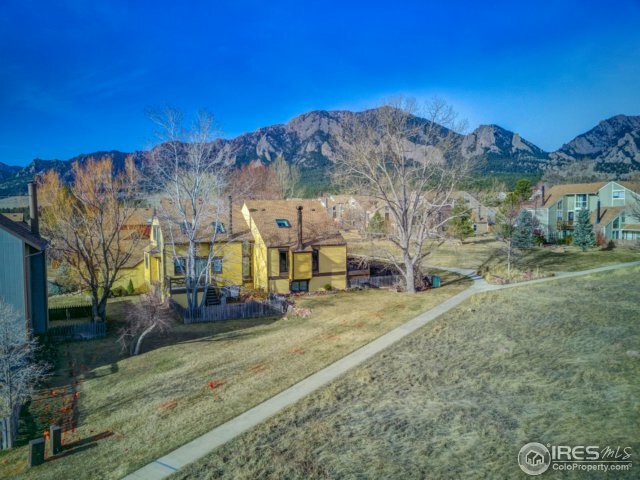 It's nestled between Wonderland Lake and Sanitas open space, and some properties have postcard perfect views of the Flatirons. Lots sizes are generous and if you're in the know, there are rarely used social trails nearby. This one backs to City of Boulder open space and it's in unincorporated Boulder County - not subject to city taxes or a myriad of city regulations. 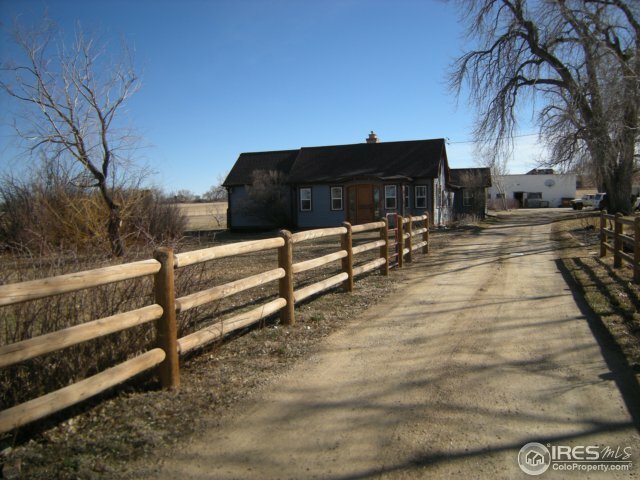 Four bedrooms, four baths, and 1.5 acres of land. 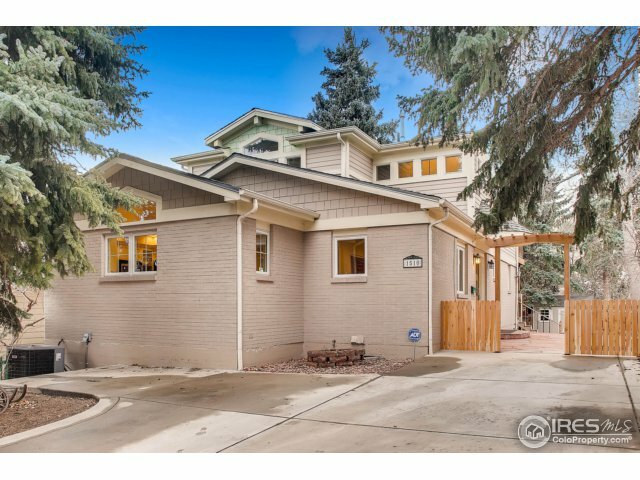 Due diligence: Boulder County has different rules for house sizes, consult an architect or have your Realtor bring one to the showing. This perch is rare. We analyzed the location a couple of years ago for a prospective buyer and sadly, he missed out on a bidding war for the neighboring house. The reason it's popular is that it has a spectacular and unique combination of being practically downtown, not historic, and with truly jaw dropping views. The bones of 2370 Balsam are a classic two story box, dated, but with a framework most architects/contractors will happily expand upon. It's priced accordingly and should sell very quickly. Due diligence: Make sure your agent is familiar with the basic playbook for reconstruction/redevelopment in Boulder - including affordable housing fees, zoning, setbacks, floor area ratios, height limits, solar access, and parking requirements. You may also want to chat with the neighbor below about the potential to trim back or remove a few trees to improve the view. 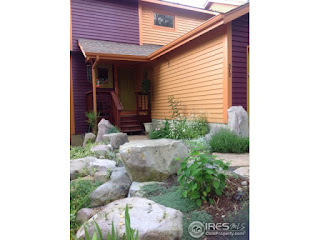 Make sure your inspection evaluates the retaining walls. p.s. The listing agent gave me a heads up and let me take an early look at the property. Much appreciated! The listing describes this as "European." To me, it looks like a lot of homes I've seen in New Orleans. Either way, it's unusual to see something in this style in Boulder. It appears to be recently updated and well executed. 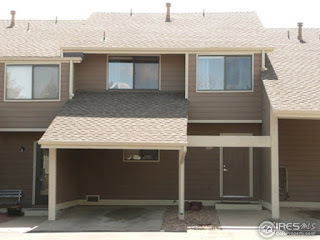 Square footage is a little on the small side, but it has a good layout with all the bedrooms on the upper level and a two car attached garage. 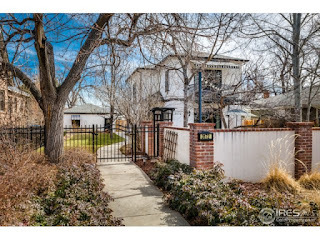 The location is also good: Newlands, west of Broadway with easy access to the Rec Center and an easy bike ride downtown. Due diligence: Traffic noise potential. Check at rush hour. 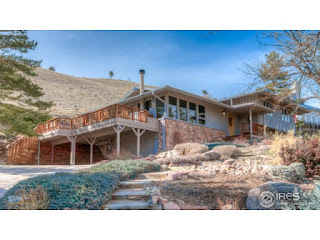 If you're looking for a mountain home for your family, only a few minutes from Boulder proper, don't miss this one. Custom built in the 1990's with an attractive design and a walkout basement, forest and views. 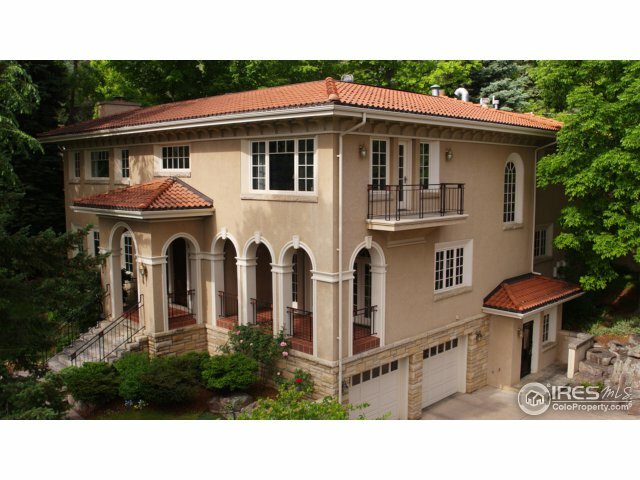 Five bedrooms, six baths and a two car garage. Due diligence: As with all mountain property, add fire defensibility, septic, and water to your checklist. Also, there's an HOA, so be prepared to evaluate its financials and minutes. Late 80's townhome with four bedrooms, four baths and just under ~1800 SQFT. Good location, west of Broadway with easy access to Wonderland Lake Open Space. Two car attached garage. Outdoor living areas look nice. Photography makes it look a little cramped, but it's still worth a visit because only a handful of town homes in this location come on the market in a typical year. You may not see another one for months. 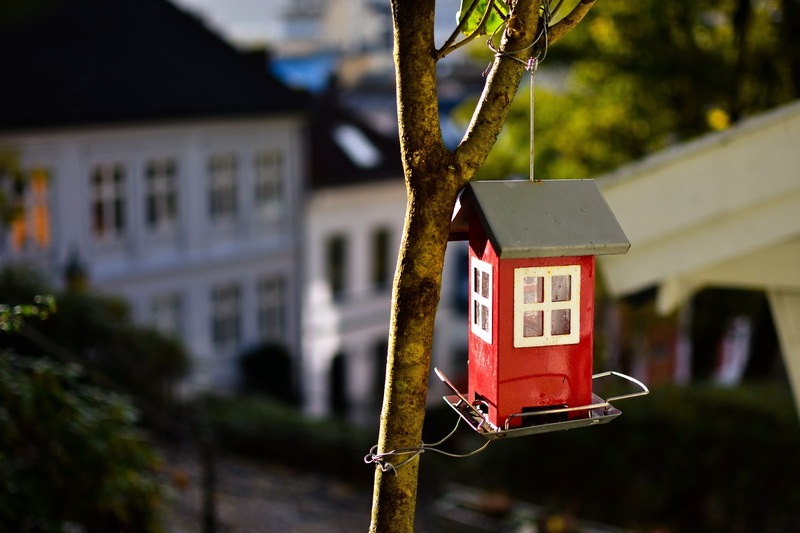 Due diligence: it's a two unit HOA that is described as "informal." Research into this should be very thorough. A lack of HOA dues could be a blessing or a curse, depending on deferred maintenance and the other unit owner's attitude. Every time I take clients to see units in Iron Flats, I am impressed. The location is solid, the designs are functional and the complex appears well built. These units appeal to mid-level tech workers and other professionals, or to grand parents with grand children nearby. They're within a stroll's distance to downtown Boulder or to Google. High lock and leave potential. 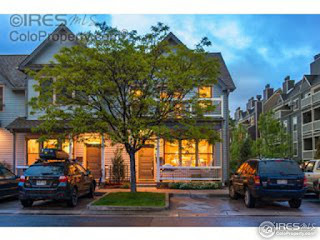 Four bedroom, three bath town home in ever popular Shanahan Ridge. Why is this spot a hit with buyers? Within a few steps, you're on excellent South Boulder trails. 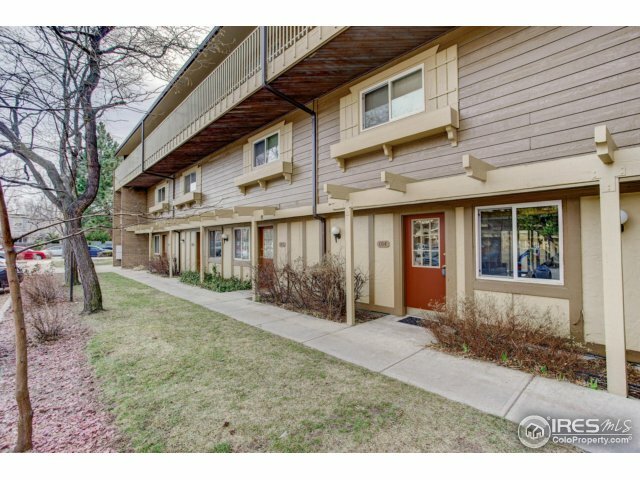 You're also in the areas best schools and a popular retail center is a short distance away. CU student density here is low, lock and leave opportunity is high. This one is nicely updated. Market note: Snooze you lose, it's already under contract! Updated properties sell quickly and for more money. Most listings will wait through the weekend to let the maximum number of showings occur, but not every agent/seller can hold out when there's a juicy offer on the table. The bottom line is that you can't wait for the weekend if you're in this market. Pro tip: Choose a responsive buyer's agent and see new listings within 24 hours of hitting the market. Similar to our listing that just sold at $535K. Ignore the flash photography, the location is excellent and it's a nice, dog friendly community. Awesome neighbors (I'm looking at you, past clients). Comparable notes: Our listing had mini-splits, perhaps better finishes, and backed to the adjacent community's open space. This is a great option for college/graduate students (or their parents). Exceptional access to CU. Newer development with retail in close proximity. Put junior in one bedroom, their rent paying classmate in the other bedroom. Hire Realty Unique (our property management arm) to deal with it after they graduate, or we'll sell it if you're ready to invest elsewhere. A little smaller and one less bath than the unit at Landmark Lofts (above). Finishes and design a little older, but functional. A little further from campus. Better rental economics. Market note: We've tracked this development for years. Read "How much should I offer?" Longmont has really come into its own in recent years as an attractive - and more affordable - alternative to Boulder. 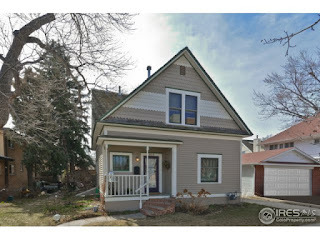 A similar three bedroom, two bath house in a good location would be about three times the price if it were in Mapleton Hill, yet Old Town has the same vibe. While Boulder wallows with litigation and complex negotiations over plans to "control its energy future," Longmont already has municipal electric (and fiber!). 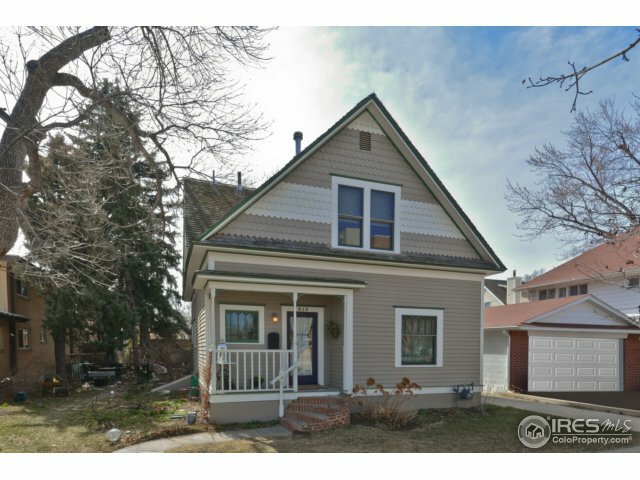 This particular adorable historic house was constructed in 1910. It has attractive features, a classic layout, and a one car detached garage for the toys. Offered at less than the price of a basic ranch in Boulder. Stroll to downtown restaurants. Market note: Bidding wars are not limited to Boulder. Old Town Longmont is very much in demand. Choose a Realtor who will help educate you on market conditions and strategies to win the bidding war without going over budget. Hobby farm in a good location, with water. Existing buildings need a little love but have interesting architecture. Short on acreage.